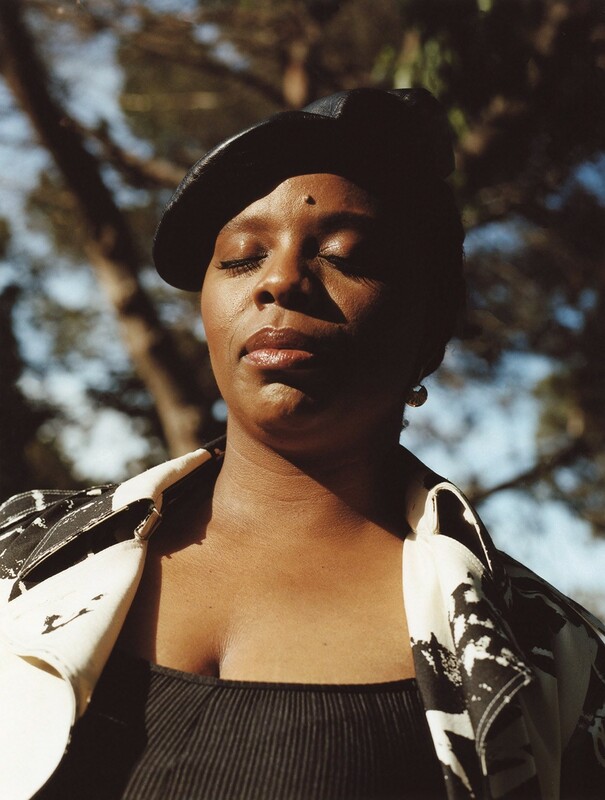 “I ask myself every morning… what am I doing to change the material conditions for black people?” Patrisse Khan-Cullors’ voice is smooth and steady and low. 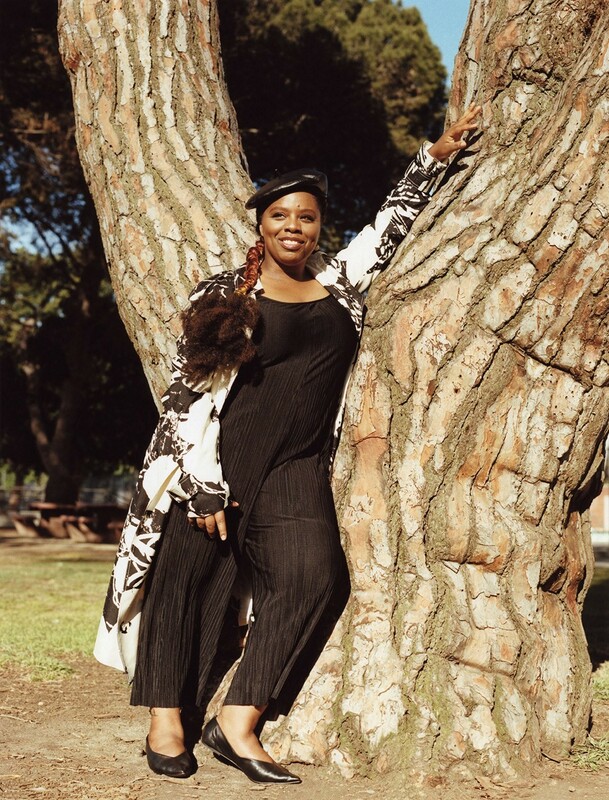 “If I’m rooted in that question and working from that place,” she explains of her daily gut check, “it helps me navigate the oddity of black death becoming celebrity.” It’s a warm night when we meet to speak in a cosy backyard in Culver City, California. She is calm – so calm, it belies the intensity of her work. Khan-Cullors, with Opal Tometi and Alicia Garza, founded the Black Lives Matter movement in 2013, in response to the acquittal of George Zimmerman, the vigilante who killed 17-year-old Trayvon Martin in Sanford, Florida. On the night of the acquittal she originated the hashtag #BlackLivesMatter, shifting a growing sentiment into a virally urgent refrain. In 2014, responding to the police shooting of Michael Brown, Khan-Cullors helped bring 600 advocates to Ferguson, Missouri, to support local protesters demanding police accountability. The city was besieged by Swat teams, tanks and snipers – here, the hashtag was not only a salient brand, but a practical location at which protesters were offered explicit support, including advice from Arab spring protesters on how to counteract the effects of teargas. For tonight, though, Black Lives Matter means Khan-Cullors will take a quick break from our interview to call her father so he doesn’t worry about when she’s coming home. It’s Black Lives Matter as global vision, as interpersonal edict, as family value. Day-to-day exercise sees Khan-Cullors building teams and campaigns, working with press and developing strategy for Black Lives Matter initiatives. But there is also creative practice undergirding the movement: Khan-Cullors is a performance and textual artist, currently studying for an MFA from the University of Southern California. 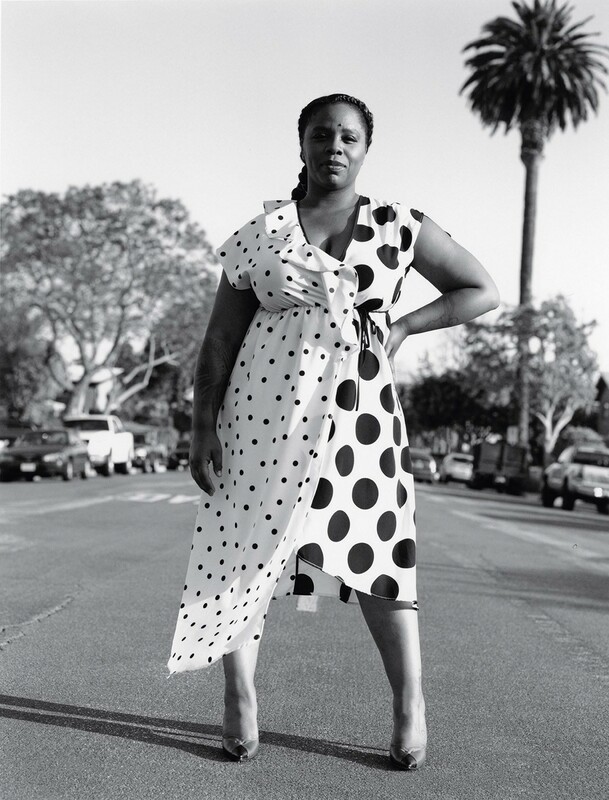 She is also a mother, daughter and sister – and each of these aforementioned roles, vast as they may span, is wholly integrated in to her understanding of why black lives, survivable only by creative resilience, matter. From where we sit, it’s a straight shot up the 405, past Santa Monica, Beverly Hills and the Getty Museum, to get to Van Nuys, where Khan-Cullors grew up. Her childhood is detailed with personal and critical incision in When They Call You a Terrorist: a Black Lives Matter Memoir (co-authored with Essence journalist asha bandele). 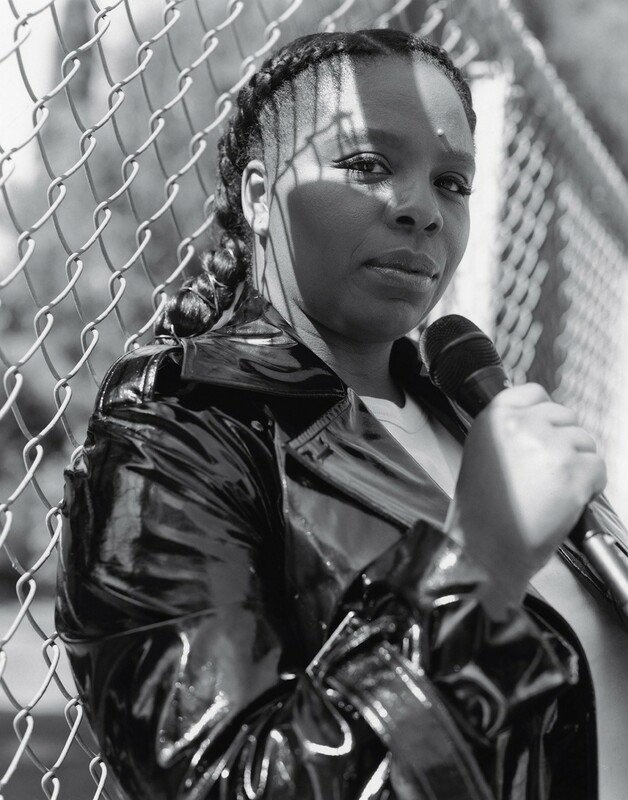 In the book, she retraces inspiration for the work she does now: her parents’ tireless work ethic, the latchkey lifestyle she experienced at home with her siblings, the challenges to accessing nutritious food, and the trauma of witnessing her brothers being searched by police for no reason when they were as young as 11. She also recounts her arrest at the age of 12 for smoking weed in summer school – something she’d grown accustomed to at her posh, mostly white high school – and the impact of addiction on adults in her life. Khan-Cullors roots each of these experiences in the history and sociology of black life in America: a crumbling US car industry, ‘food deserts’ relegating black kids to substandard nutrition, the war on drugs, the over-policing and incarceration of black people. The experience is hers, but it must be held by all of us. “Part of being in a world that profits off the death and despair of black people means that someone else was able to receive those profits,” she says. While Khan-Cullors’ experience informs her, it’s not necessary to have suffered to commit to Black Lives Matter. 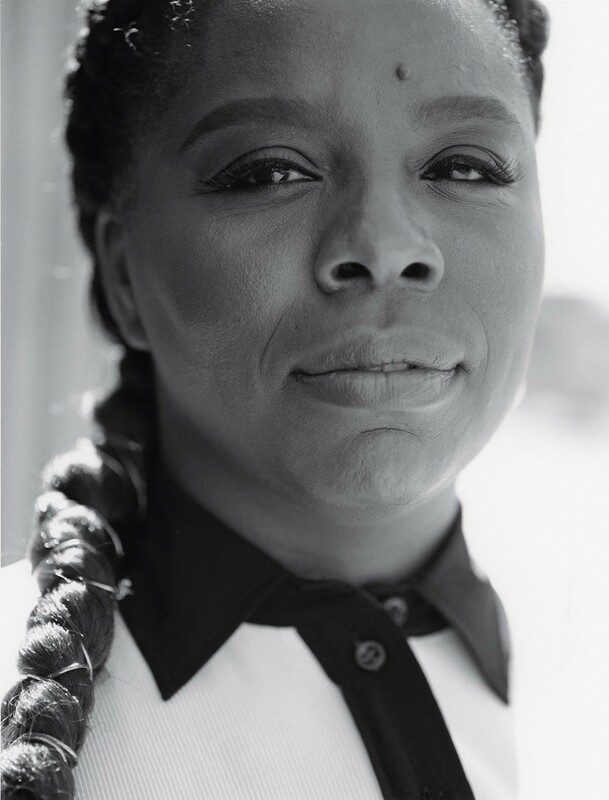 “Some of our most powerful allies are non-black and they have made the choice to align themselves with black lives, because they know that the fight for black lives is also the fight for themselves,” she says. The movement is more holistic than many realise, but it’s these nuances that interest KhanCullors especially. “Black Lives Matter provides a new way to receive love and care,” she says. Not only does the campaign seek to build power, it also seeks to ensure healing and manage trauma. It is pro-mental health and self-care, a fact which the mainstream media rarely publicises. It is led by queer women of colour and overlaps with the movements there implied. Its goals include ending all violence against black people, dismantling cisgender and male privilege, and honouring multigenerational leadership. How the movement aims to interact and what they organise around work in tandem, and specific demands are determined by local chapters around the world. They include slashing police budgets, and advocating for jobs, schools and green spaces in black communities. The broad network, purposely diffuse so as to distribute power, incorporates multiple subgroups, including Dignity and Power Now: Civilian Oversight, led by Khan-Cullors in LA and inspired, in part, by the complaint against Sheriff Lee Baca made by the American Civil Liberties Union, which alleged widespread corruption and torture against incarcerated people under his watch. For Khan-Cullors, Black Lives Matter is a movement and a creative practice. “Black people’s survival is the ultimate creativity,” she explains. “I feel deeply connected to the ways in which black people have used all types of material to project an honest reflection of themselves.” In her art, she draws upon text, audiovisual media, dance and performance. Her most recent work, the immersive installation “HateisHateisHate”, invites participants to collaborate, using hate mail excerpts and the FBI’s Black Identity Extremism report, on text-based collages. Creatively speaking, Black Lives Matter is also collaborative investigation – a new model for social engineering. “We set the foundation for how to fight,” Khan-Cullors explains. “That also means we had to set the foundation for how we love, and how we show up for each other.” Because of this, movements such as the Women’s March, as well as the March for Our Lives, have drawn inspiration and advice from Black Lives Matter about how to harness the synergy of a generation of dissenters worldwide. Challenging systems means collaboration, but also sacrifice, a closer examination of our attention spans, and a more dedicated support system for those who do the work – Khan-Cullors testifies to ongoing material instability in the book. Entering her ninth month of pregnancy at the time of writing, she writes that neither her finances nor housing were secure: a candid admission that, hopefully, can shift the understanding of how we attend to those doing this difficult work.